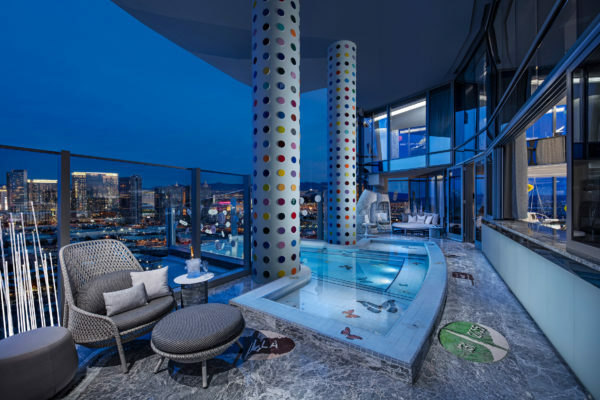 Damien Hirst creates $100,000-per-night hotel suite in Las Vegas. 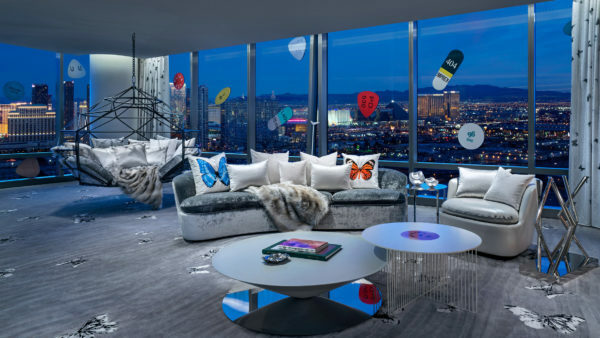 Sharks suspended in formaldehyde, graphics of oversized pills and flooring patterned with butterflies await high-rolling guests staying in this hotel suite, which British artist Damien Hirst has designed for the Palms Casino Resort in Las Vegas. 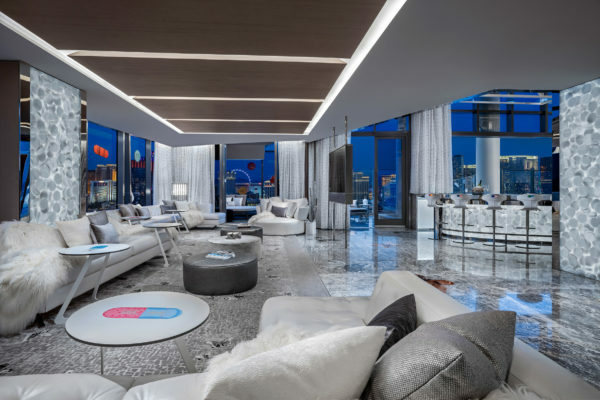 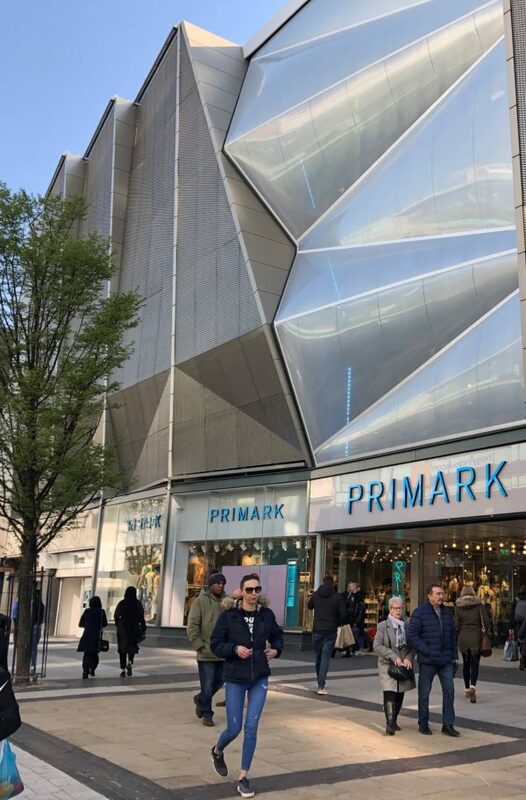 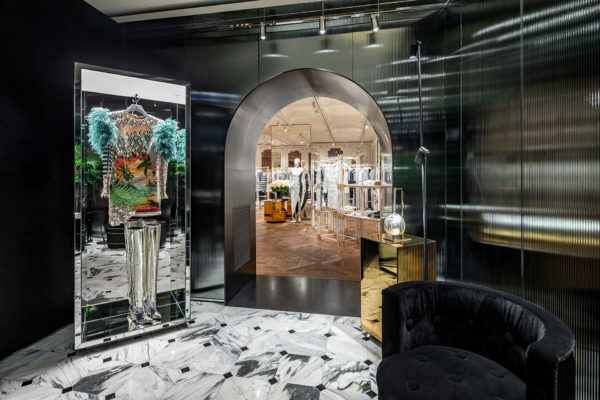 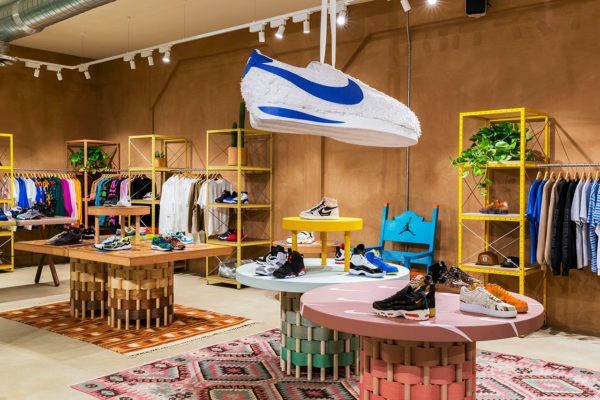 Available for free for guests with over $1 million in credit at the resort, or anyone else that can splash out $200,000 for a two-night stay, Hirst’s Empathy Suite spans 9,000 square feet (836 square metres) and occupies two storeys within the Palms. 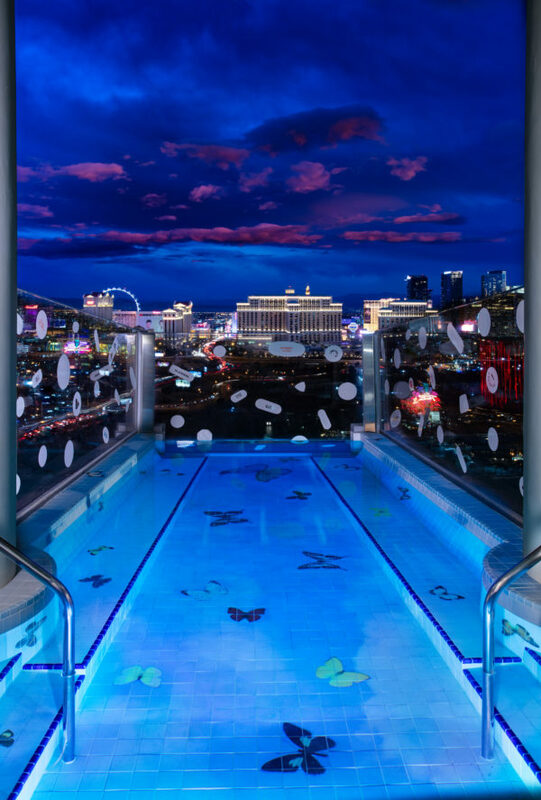 The suite offers two master bedrooms and a cantilevered outdoor pool overlooking the Las Vegas Strip, along with numerous lounges that can fit over 50 people, massage rooms, a salt relaxation room, a gym, two bathrooms and a powder room. 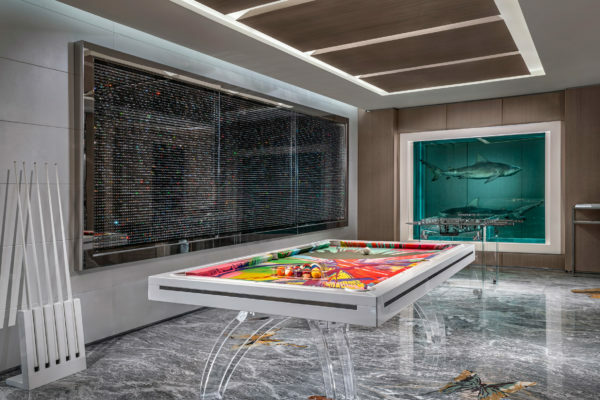 Hirst’s touches appear in nearly every aspect of the hotel room, from furniture and textiles that incorporate his designs, to six large-scale original artworks. 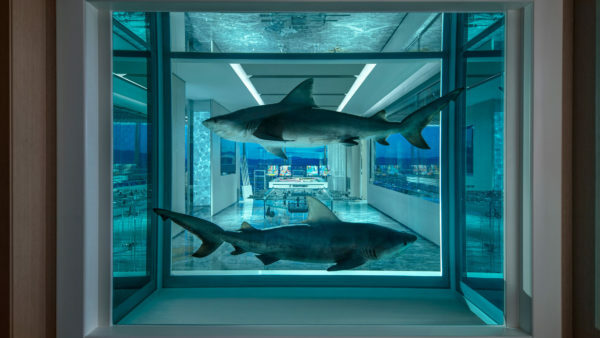 The most dramatic involves two bull sharks suspended in formaldehyde in a white tank, called Winner/Loser. 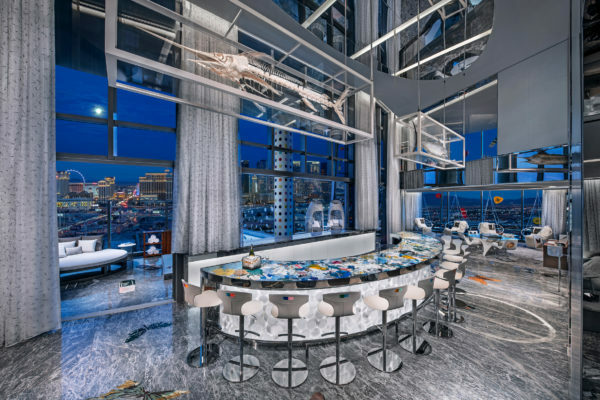 Others include a fish design above a 12-chair bar, named Here For A Good Time Not a Long Time, and a translucent cabinet filled with pills titled Monet, next to a six-person dining table.